Founded by Artistic Director Dr. Laurel Victoria Gray in 1995, this award-winning ensemble shares updates, photos, videos, and special offers on this Facebook page. 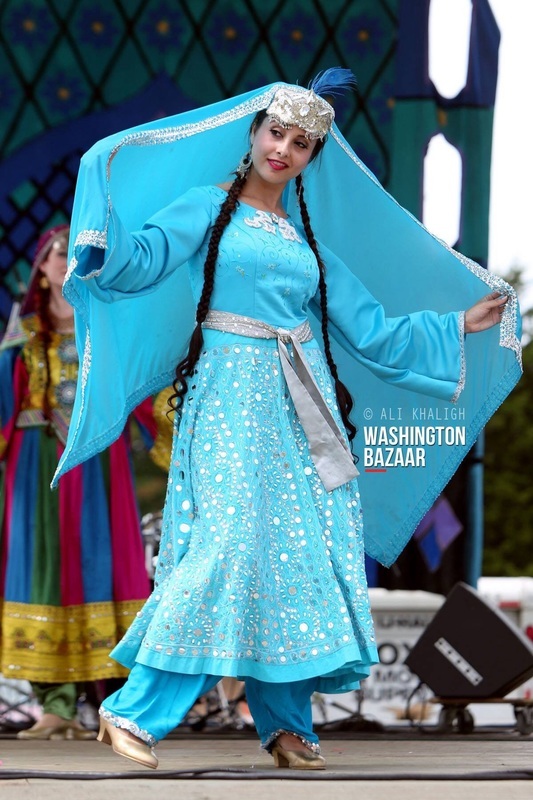 Stories from Ferdowsi's classic work form the basis of choreographies featuring familiar characters like Rustam, Rudabeh, Zal and King Kuyumars. Fantastical creatures like Simorgh - and a huge dragon ! - also make appearances in this production. Concept, choreography and costume design by Laurel Victoria Gray. Dr. Laurel Victoria Gray who created initial core dances in 1995. 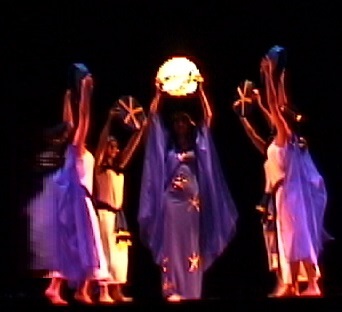 Expanded version premiered at the Kennedy Center in 2003. 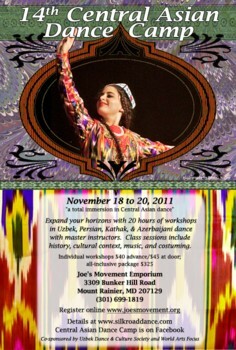 Upcoming performance in November 2012. 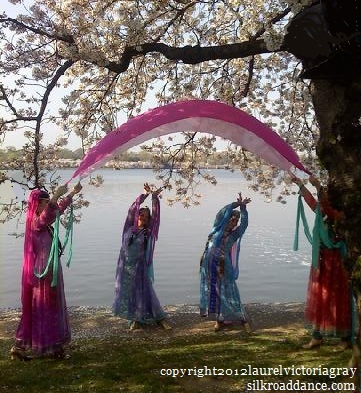 Laurel Victoria Gray's folkloric ballet based on Nizami Ganjavi's 12th century epic poem. World Premiere 2005. View highlights from our updated 2011 producuion at the INTERSECTIONS ARTS FESTIVAL here. 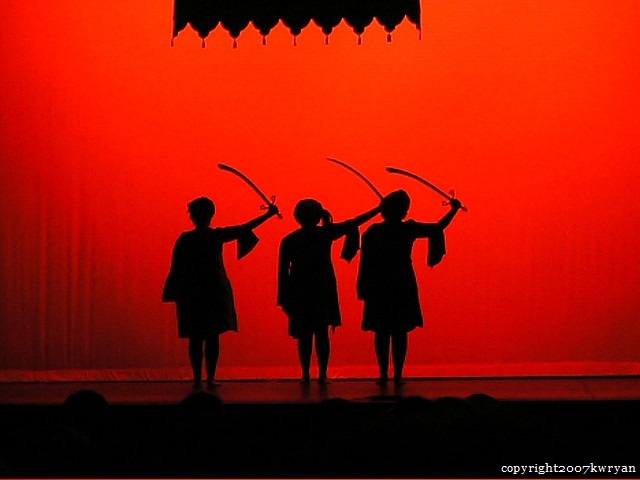 Silk Road Dance Company's "Hooray for Bollywood" concert premiered in 2009 at Harmony Hall. Along with guest artists, this production celebrated the colorful,exciting, and memorable dance numbers of the Indian film industry. We rebooted this concert as BOLLYWOOD FEVER at the INTERSECTIONS ARTS FESTIVAL in 2012. Original concept, costume, choreography by Dr.
Laurel Victoria Gray, this concert recreates a journey to the Court of Tamerlane. A Dance concert based on the " Baburnama" -- the memoirs of Emperor Babur, the Central Asian conqueror who founded India's Moghul Dynasty. delivered in a succinct 140 character format! Interested in Silk Road culture? 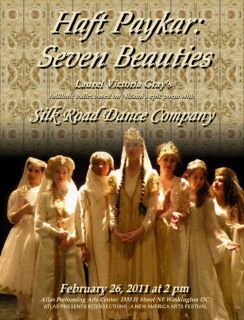 Enjoy the background information about our performances and costumes.